Mantic Games is getting in some more copies of Dungeon Saga: Dwarf King's Quest in. They should be at your shops by the end of the month. But what if you already have it and are looking for more? Well, they've got you covered as well with The Warlord of Galahir, a new expansion that is coming in July. This new set give you an all-new storyline to follow. Pietor Grube, famous merchant, has been captured by Orcs. It's up to you to get him back. While you're at it, you can recover the treasures of Sarennia. If that weren't enough, the Orcs are also messing up the forests of Galahir. To do this, you get four new heroes that can join in your quest. 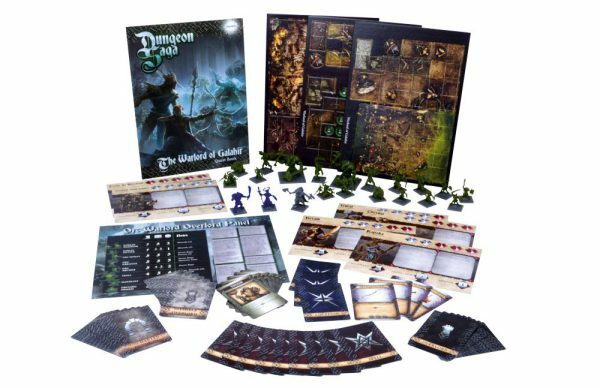 You'll need them to take on all the Orcs, Goblins, and Mawbeasts that are in front of you.